USASA and Copper continue to partner to influence the future of winter sports and are committed to the development of amateur athletes. Each year, across 31 regional divisions nationwide, athletes of all abilities compete earning points to qualify for Nationals. These events provide a platform for children and young adults to progress competitively in an environment that’s encouraging and fun. 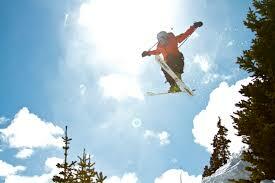 USASA Nationals have been hosted at Copper Mountain for 10 years. With disciplines including halfpipe, cross, slopestyle and alpine spanning across 12 days with 2,000 athletes, it is the largest snowboarding and freeskiing competition in the world. The following terrain will be closed as we support the development of our future Olympians: Copperopolis (Alpine events), Woodward Central Park - medium line (Slopestyle), Fairplay (Boarder and Skier Cross), Superpipe (Halfpipe), Lower Bouncer (Rail Jam).